The COC's Adult Programs Manager Gianmarco Segato was lucky enough to see Against the Grain's #UncleJohn in Banff a few weeks ago! He shares some of his experiences below. On Saturday August 2, I made the trek to Banff to see Against the Grain Theatre’s latest production, #UncleJohn, produced in collaboration with The Banff Centre and the Canadian Opera Company as part of the centre’s new program, Open Space: Opera in the 21st Century. The program hosted eight young opera professionals for a four-week intensive residency which resulted in the creation of #Uncle John, a modern interpretation of Mozart’s Don Giovanni. The adaptation featured a new English libretto written by Against the Grain Theatre's artistic director Joel Ivany. The creative process was extensively documented with blog posts and behind-the-scenes videos on Schmopera courtesy of none other than former COC Ensemble member and erstwhile Big COC Podcast guest, Jenna Douglas. 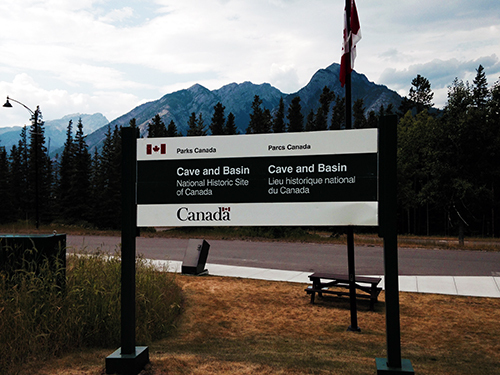 The setting for this unique production was the Cave and Basin, a National Historical Site within Banff National Park — the geographical birthplace of Canada’s National Park system. 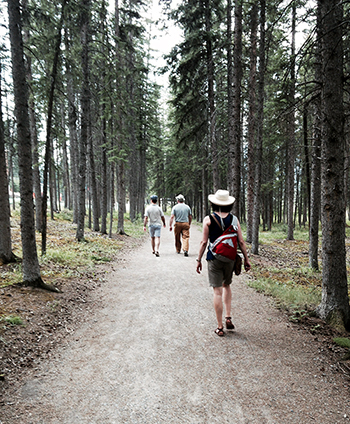 I visited the site in the afternoon, a beautiful 20 minute walk from Banff town centre. You can enter the cave where three railway workers discovered warm water springs above what would become the town of Banff, which led to the establishment of a reserve around the hot springs in 1885. Two years later the Canadian government made the area a national park – the country’s first. The cave was hot, steamy and, due to the sulphurous odours, stinky! There’s also an outdoor hot pool where you can see the healing waters bubbling up from below. AtG performed #UncleJohn outdoors although on the night I attended they were rained out and had to quickly improvise the staging in an indoor space. The cast did an amazing job adjusting their blocking in the moment, adding an extra frisson of excitement to the proceedings! The new English text was witty and completely of our times – texting and cellphone calls were integral to the concept. #UncleJohn was another success for AtG in its continuing quest to present opera in fresh ways, in unusual spaces, to new audiences. After the show I caught up with three of the cast members, all of them former COC Ensemble members: Betty Waynne Allison, Cameron McPhail and Miriam Khalil, as well as director Joel Ivany (you’ll hear them speak in that order in the audio clip below). Listen as we talk about the significance of performing at this unique venue, what it’s like to sing a new English version of Don Giovanni, and hear their individual takes on Anna, Uncle John and Elvira!